Fun doesn't always have to mean frivolous! All of these gadgets and gizmos are actually useful! 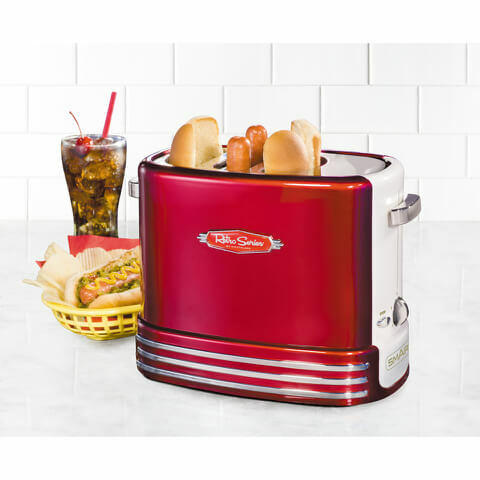 Warm hot dogs in minutes with the SMART Retro Pop-Up Hot Dog Toaster which holds two regular-sized hot dogs and two buns at once. The adjustable cooking timer allows you to create perfect hot dogs every time and mini tongs are included to prevent burning your fingers. The easy cleaning, quirky gadget features a drip tray to reduce mess. Ideal for parties, entertaining or for quick and convenient snacks. Add a touch of fun and flair to your dinner parties with this Mini Chocolate Fountain. With a tabletop design and a 3 tier cascading fountain, this exciting appliance melts any type of chocolate into a silky stream of delicious goodness. 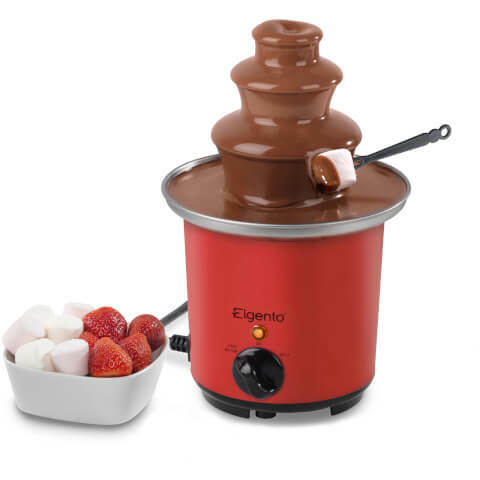 Ideal for dipping fruit and marshmallows, this chocolate fondue is every chocolate lover's dream! Easy to use turn dials allow you to control the heat and flow settings, great when entertaining guests as well as children's parties or even nights in watching a movie. 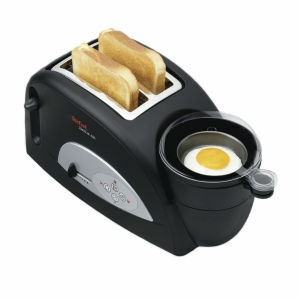 An eggstravagant option for your breakfast, this device combines toasting bread with cooking eggs! You can easily use the two functions separately but this toaster’s true strength is doing both at the same time for a 4 minute breakfast. The Toast ‘N’ Egg can both poach and boil eggs however you like. The toasting slots are wide enough for different sized bread, muffins or bagels and the warming tray is ideal for warming up cooked meats such as ham. Of course the toaster also features variable toasting settings and a cancel function to ensure perfect results. 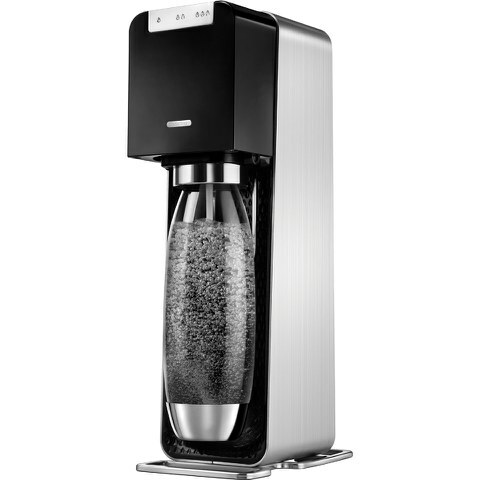 Get your boring tap water sparkling with the SodaStream Power Sparkling Water Maker. The environmentally friendly SodaStream saves on bottles and features an easy to use snap and lock system for rapid carbonation. Simply attach the bottle, then with one press of a button, create a sparkling drink with 3 choices of carbonation strength. You can add flavours to the machine to produce your ideal, thirst-quenching fizzy drink. 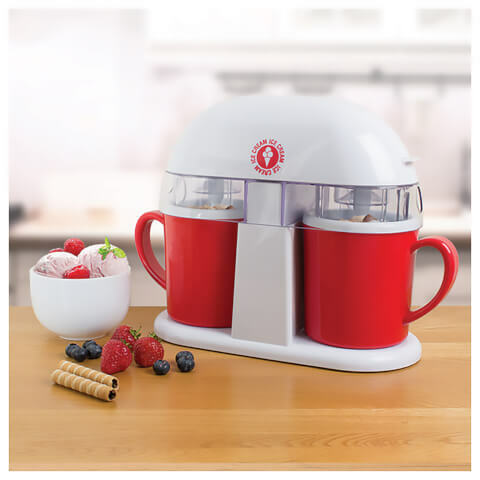 The Double Ice Cream Maker from Global Gizmos allows you to make two mugs of delicious, homemade ice cream in just 30 minutes. Featuring a non-slip base and two funnels for adding ingredients, the ice cream maker is perfect for impressing guests at parties, or creating late night desserts. Quick and easy to use, the gadget does all the hard work for you and is able to make two flavours of ice cream at the same time. Experiment with different toppings and flavours for a fun, frozen treat. Make natural, tasty peanut butter at home with the SMART Peanut Butter Maker. 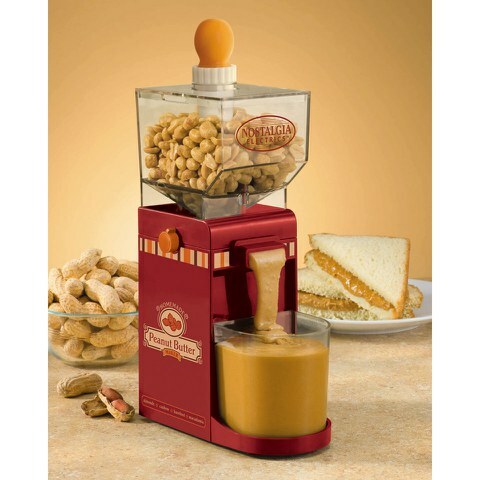 Easy to use, simply add your choice of shelled or chopped nuts into the compartment at the top, turn on the unit and add some oil, then in no time at all your peanut butter will be dispensed into the cup. Designed to work with a range of nuts, including cashews, almonds, hazelnuts and even sunflower seeds, this handy device will also allow you to get creative and add extra flavours to your nut butters, such as chocolate, cinnamon or honey. 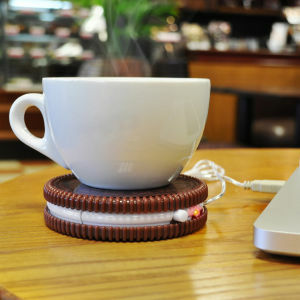 Cold tea no more, keep your cuppa hot by putting it on the USB powered Cup Warmer. When working hard means you don't have time to even stop and take a sip of your drink, the trusty cup warmer will save you getting up to brew numerous cups of tea and coffee. 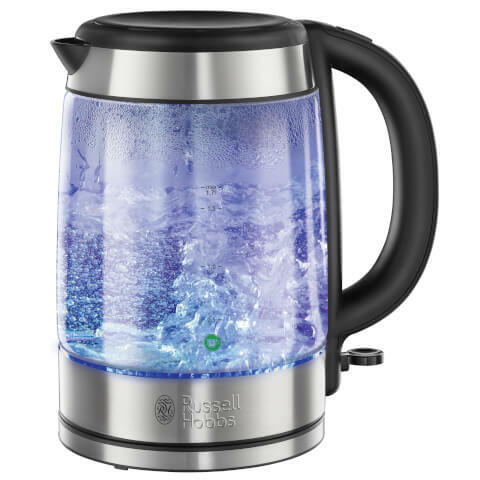 The Russell Hobbs Schott Glass Kettle features a contemporary design and eye-catching glass body. Transparent with brushed stainless steel accents, the kettle is made with premium Schott glass that has thermal shock resistance. The kettle features a generous 1.7L capacity and when it is boiling it illuminates an eye-catching blue light. If you fancy a fun, tasty treat this cake pop maker is ideal; simply bake your cake pops then get creative and decorate your dessert. The cool touch handle enables you to safely flip the cake pop maker 180° halfway through cooking, to ensure an even bake on each side. 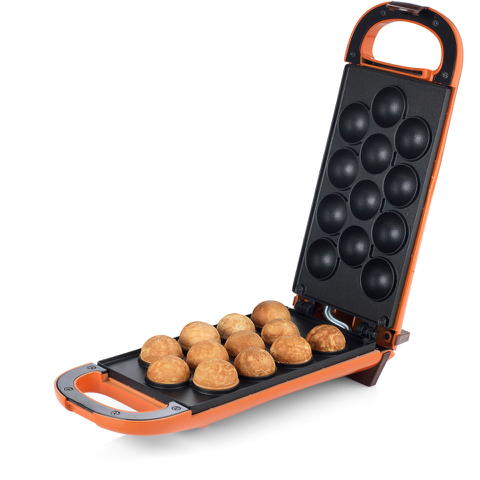 The plates are wonderfully non-stick to release the cake pops without tearing or crumbling and to make cleaning easy with no scrubbing.With 700W power, this fabulous cake pop maker can bake 12 delicious cake pops in just 10 minutes – perfect for fast party preparation. 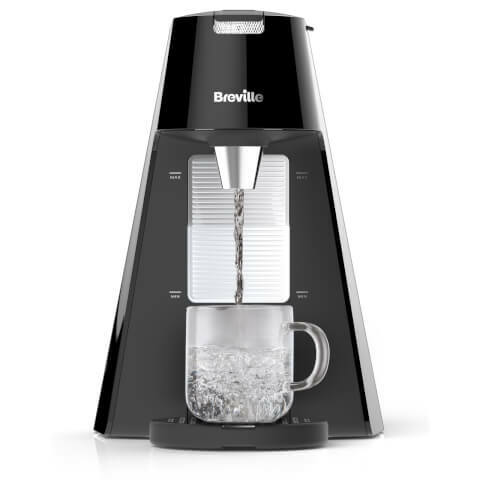 The Breville VKT124 Brita Hot Water Dispenser will deliver a speedy cup of boiling water in super-quick time of less than a minute. Using BRITA filter technology, your cup of tea or coffee will not only taste great but it will be ready in less than half the time it takes to boil a kettle. With a capacity of 1.5L, the filtered water is dispensed at boiling point via a smooth and continuous flow to keep splashes to a minimum. Whilst in use, the dispenser lights up with an eye-catching blue illumination, giving your worktop a real ‘wow’ factor. 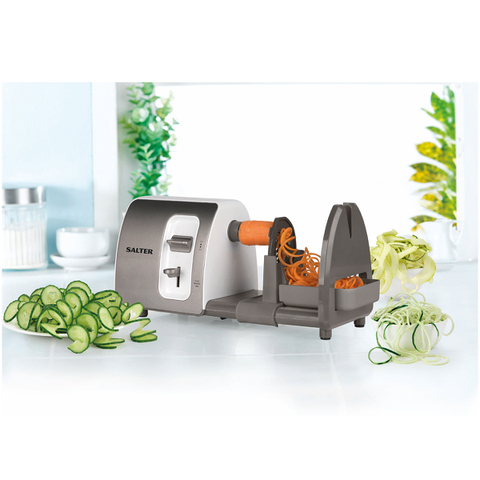 The Salter EK2299 3 in 1 Side Loading Electric Spiralizer creates delicious and healthy spiralized fruit and vegetables effortlessly. With three blades, choose between thin and thick noodles or ribbons. Ideal for salads and stir fries and as an alternative to carbohydrates. Add incredible flavour to food at home with the Smoking Gun from Sage by Heston Blumenthal. 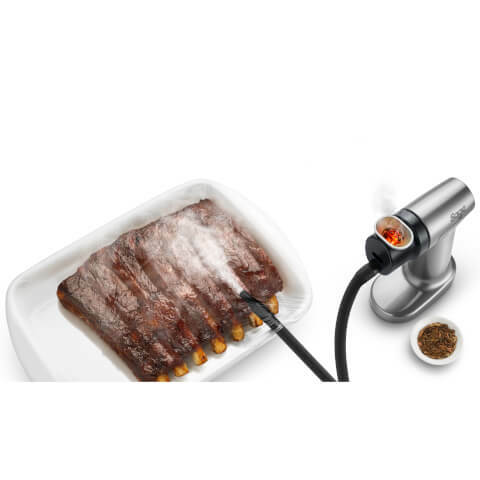 Smoked food has a flavour depth that has traditionally been difficult to recreate in the home kitchen yet this innovative piece of kitchen gadgetry allows you to experiment and create the most delicious smoked meats, snacks, vegetables and even cocktails effortlessly. 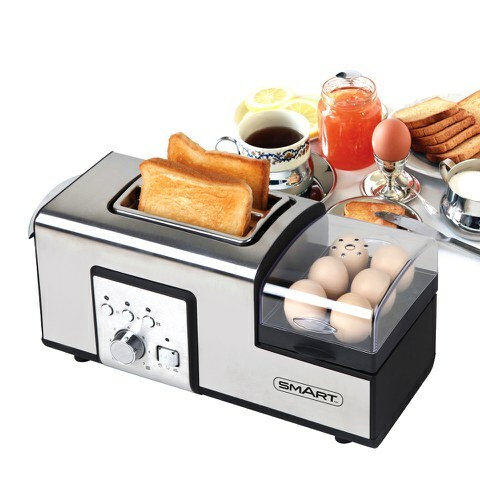 In addition to a classic toaster with convenient defrost, reheat and cancel functions, the Breakfast Master Toaster can steam boil no less than six eggs at any one time. A nifty needle at the bottom of the measuring cup allows you to piece egg shells to avoid cracking when steaming, allowing you to create the perfect runny boiled egg. Everybody loves warm, hearty soup, but not everyone has the time to watch over a simmering pan. 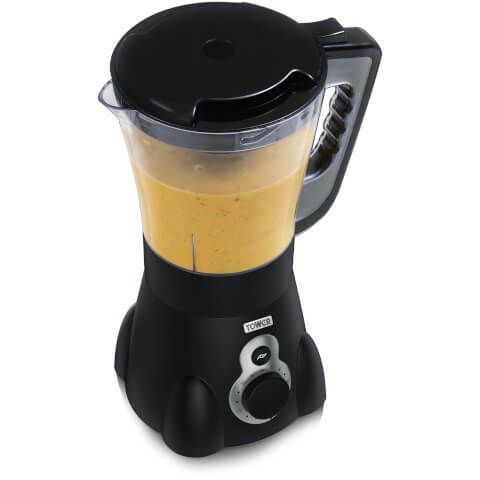 Step forward the Tower 1.5L Soup Maker - the simple, stress-free way to make delicious soup. Blend and heat in one appliance thanks to 1100W of power - The versatility doesn't end there though - you can make chunky and smooth soups, baby food, purees - the list is endless. A 60 minute timer is on hand to ensure that you can get on with other tasks whilst your soup is being prepared too. 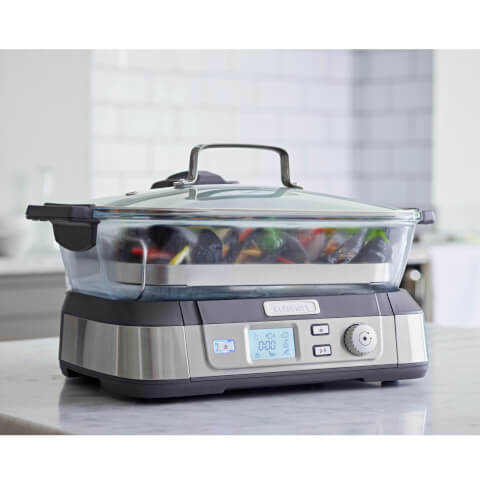 The Cuisinart Cookfresh Professional Glass Steamer cooks food healthily, quickly and easily. The innovative design delivers steam from above, cooking food evenly whilst locking in nutrients, flavour and texture. The steamer features a digital display, countdown timer and an ultra-fast heat up time. Once steaming is completed, the keep warm function maintains the temperature of your food until you are ready. © 2000-2018 The Hut.com Ltd.